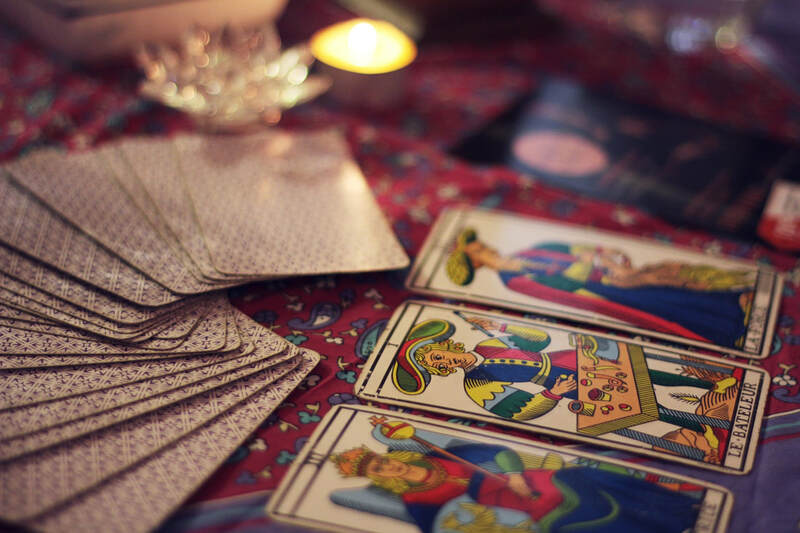 The history of the tarot is something that has mystified people for centuries. The tarot cards tell you your life story, the power of the tarot has mystified people for hundreds of years. Why is it these cards are able to unlock thoughts and emotions, and give guidance for the future? I read these cards and do not understand how they can be so accurate, I can describe it simply as the elusive beauty of the tarot. The Tarot has a very long history going back centuries, there have been many, many theories however none have yet been proven. Maybe even dating back to the time of the Egyptians. It is the book of truth, your life story. 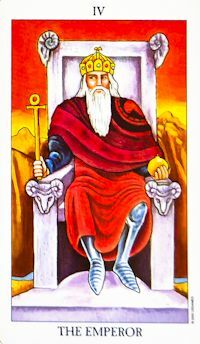 The word tarot means Royal Road or path of the King, a journey to self mastery. It is the book of Thoth ~ the had of Ibis and the body of a man. Others have suggested that the tarot comes from the teachings of the Gnostics. Gnosticsm means knowledge, the knowledge we hold within, a mystical knowledge that is inside each of us. It has been said that both Jesus and Mary Magdalene followed the Gnostic faith. The major arcana have been interpreted as the main principles of the Gnostic faith, beginning with the Fool as a symbol of human ignorance and ending with spiritual ascension with The World. Throughout the centuries there have been many claims to their origins, one thing is for sure Christian, Islamic, Nord and Celts ideas can all be found within the cards. In the late 1800's The Hermetic Order of the Golden Dawn was founded, one of its members was Arthur Waite. He wrote a book connecting the tarot to the Holy Grail and the 4 suits were symbols of the Cup, Lance, Disc and Sword. He then went on to produce the famous deck of cards The Rider - Waite pack. 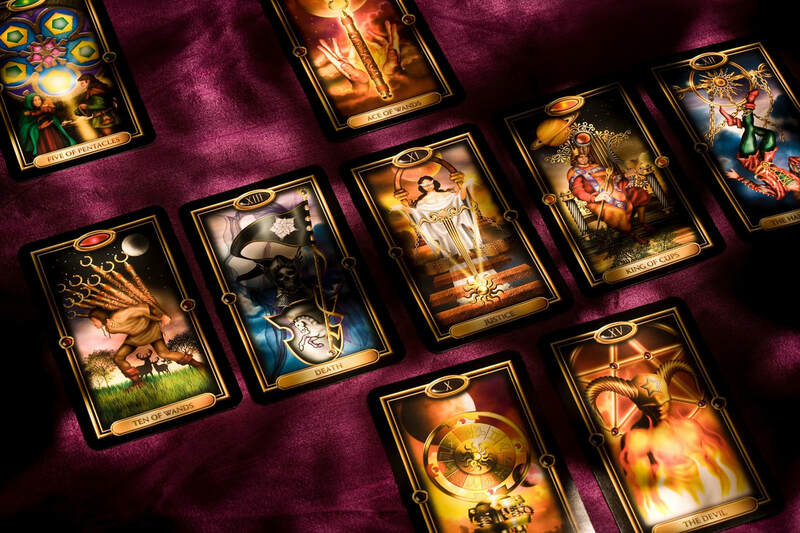 Whatever the origins of the tarot one thing is for sure the tarot will reveal the universal principles of life which we all must travel to reach our destiny, often unveiling negative issues and situations that need to be addressed to enable us to move forward. The cards are made up of 22 Marjor Arcana, these do not have any suit but have a symbolic image and number, these cards will give you the causes of what is going on around you in life. Alongside the Major are 56 Minor cards. These are split into four suits Wands, Cups, Swords and Pentacles. The wands are material possessions, cups are focused around love and emotions, the swords are conflict and arguments and the pentacles reflect on money situations.The 56 minor cards will represent the effects of what is happening around you. So in simplicity the Minor cards are the result of the causes of the Major cards. The more minor cards you reveal in a reading the more in control you are of your life situation, the more Major cards the more your life is guided by fate. Learning the Tarot has been the most awesome tool for my development. If you are wanting to learn this is what I would suggest. Firstly throw away any books with tarot meanings, there are so many out there you will just confuse yourself. Become familiar with your cards, infuse your energy on them, make them uniquely yours. Do not allow others to handle them or do readings, you can also find a crystal that resonates with you and keep this with your cards, I use roze quartz. Now you can start to learn the meanings of the cards. Take each card individually, look at the image, what is it saying to you, what do you feel about the card. As you get to know the cards individually place two or three together and unfold the story they are telling you. One thing is for sure the tarot never lies there are so many meanings in each and every card, be guided by your intuition. ​Illustrations from the Radiant Rider-Waite Tarot Deck, known also as the Rider Tarot and the Waite Tarot, reproduced by permission of U.S. Games Systems, Inc., Stamford, CT 06902. c. 2006 by U.S. Games Systems, Inc. All rights reserved. The Rider-Waite Tarot deck is a registered trademark of U.S. Games Systems, Inc.